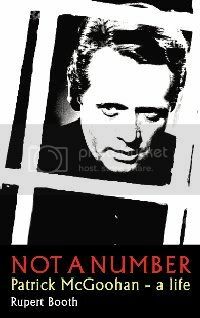 The Unmutual Website is proud to announce that copies of the new Patrick McGoohan biography "Not a Number" by Rupert Booth are now available from The Unmutual Website at an exclusive price of £7.98 (plus P&P**). Not only is this a massive reduction on the RRP of £12.99, the books are also signed by the author, making The Unmutual a truly unique shopping experience for the book. To purchase, simply click HERE and enter the official Unmutual shopping page for the book on the book's official website and pay using the secure payment method of Paypal with your credit card. The book was launched on April 27th (see news item below) and a full report of the event, and a full review of the book, will follow shortly. P&P charges: UK £2.61, Europe £4.21, USA/Rest of World £6.91.